School is out for the summer and the kids are now home full time. The good news is that you don’t have to set alarms and get everyone out the door by 0’dark thirty barking orders like a drill sergeant. The better news is that you finally have more flex time in your schedule to do all those fun and meaningful activities you have always wanted to do but just never got around to. But the bad news is that those “fun and meaningful activities” won’t just happen on their own. You actually have to make a plan for them. Usually, when I start brainstorming for ideas, I head over to Pinterest or scroll through my newsfeed to see what others are doing. And boy are they doing a LOT! Somehow our expectations of summer have gotten a little out of control. Facebook reminds us of all those summer activities happening in your town that your friends are “interested in” or “going to” with their kids. Instagram shows us beautiful picture after picture of vacations to the beach, the perfect pool shot, and siblings happily playing together and smiling. 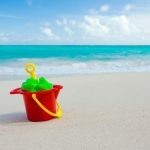 Pinterest tells us all of the things we should do this summer like make life-sized snowcones, turning foam pool noodles into elaborate obstacle courses, and 101+ crafts we can do with sidewalk chalk and rocks. But what if we are missing the point here? Think back to the summer of your youth. What do you remember most? Elaborate craft projects your mom planned and organized? Or simple family fun spending time together? I remember days spent at the pool, the weekly library trip so I could check out new books and update my reading log for getting a free book. I remember my mom taking us on a few carefully selected day trips, but I also remember running around in our backyard trying to catch lightning bugs. Every few years we would go on a vacation together. We would also periodically go the lake and swim in the man-made beachfront. We would eat popsicles made from high fructose corn syrup (gasp!) and eat freshly roasted, gooey smores. Our moms didn’t have Pinterest to pull never ending ideas from. They let us be bored, discover our own fun, and drove us to the pool. It was simple, it was meaningful, it was fun, and it was memorable. Those are the kind of summers I want my kids to remember too. 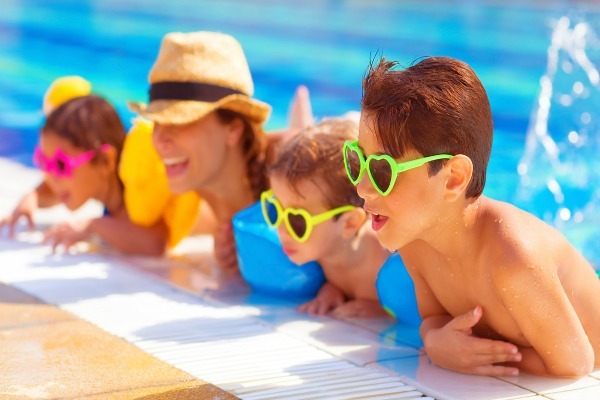 I want to find the balance between choosing some fun activities to do, visiting nearby destinations, spending time at the pool, and eating all sorts of yummy summer treats with my kids. I want my kids to discover the wonder found in playing make-believe in the backyard on the days we don’t go anywhere. I want them to look forward to reading books and earning their own summer library reward. And I also want them to spend time reading the Bible around the breakfast table unhurried because we don’t have to get to school at a certain time. What about you, sweet friend… What do you want for your kids this summer? As the school year is drawing to close, it’s time to think about what we are going to do this summer, to make intentional plans so we actually make time for the activities we want to do. We created a bucket list together where my kids gave their input of the things that were meaningful to them. 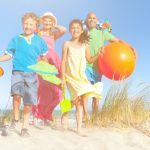 I added a few things that I wanted my kids to experience and before long, we had a simple summer bucket list. I didn’t refer to what others were doing on social media or look at the never-ending list of ideas on Pinterest. My kids shared with me what was important to them and my husband and I decided what was important to us. 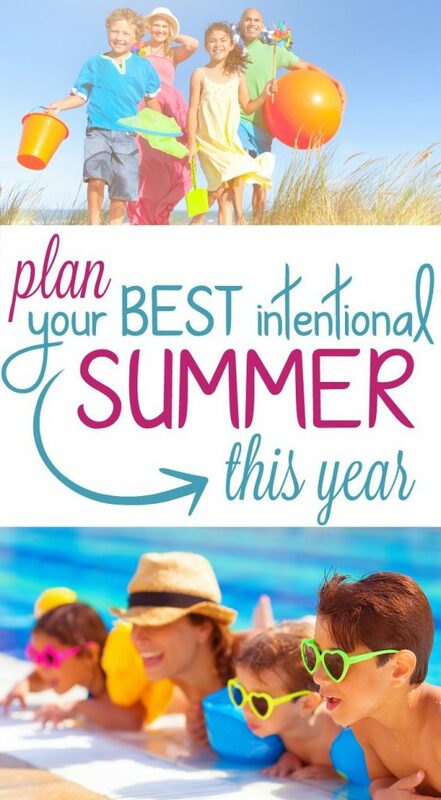 That’s the BEST way to plan your intentional summer. I want to help you too, sweet mama, as you plan through your own summer with your kids. 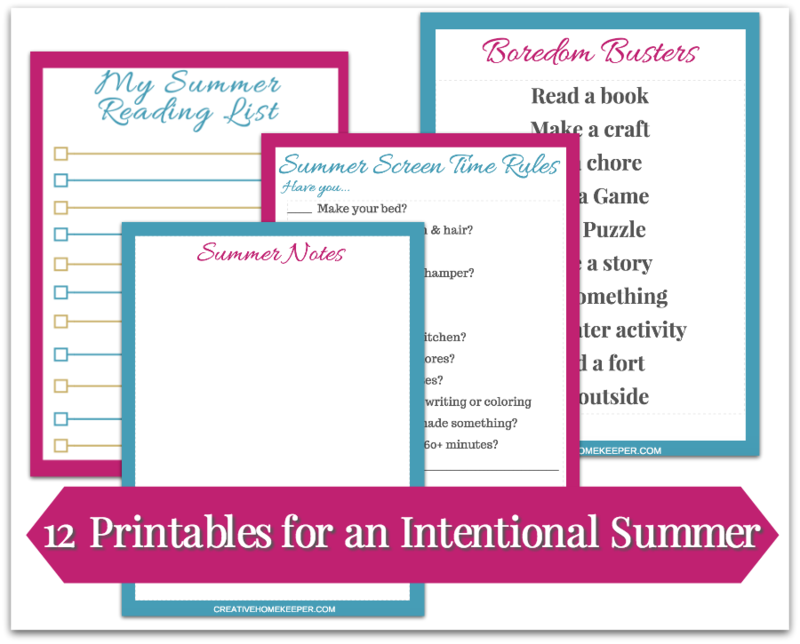 I know you want it to be fun, relaxing, and memorable so that’s why I created the Your Intentional Summer Printable Pack. 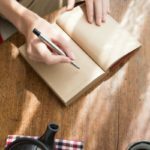 It includes bucket list printables to help your brainstorm with your children, reading log lists so everyone in the family can set a reading goal, printables to help you create simple routines for each day, and more. To download your 16-page printable pack, just enter your email address below and it will be sent straight to your inbox. Planning for an intentional summer is a great investment into your family! Join the community of over 6,500+ women who are learning how to prioritize their home life while nurturing a thriving faith with a little bit of encouragement delivered weekly to your inbox -- plus download this 16-page printable pack to help you design the best summer ever! I'm ready for summer fun! 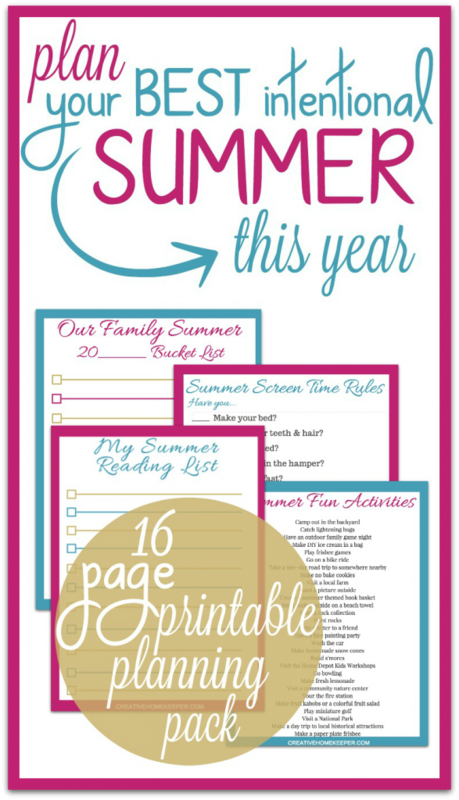 Print out however many copies of each sheet you need and sit down with your kids this week to plan YOUR best summer. Not someone else’s, but the kind of summer that your kids will cherish for years to come because it will be filled with only the best things you and your kids love. 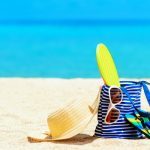 As an added bonus to give you even more inspiration to plan a Grace-filled, sun, and restful summer, you will also receive in your inbox the Your Intentional Summer Series which includes 5 weekly emails. 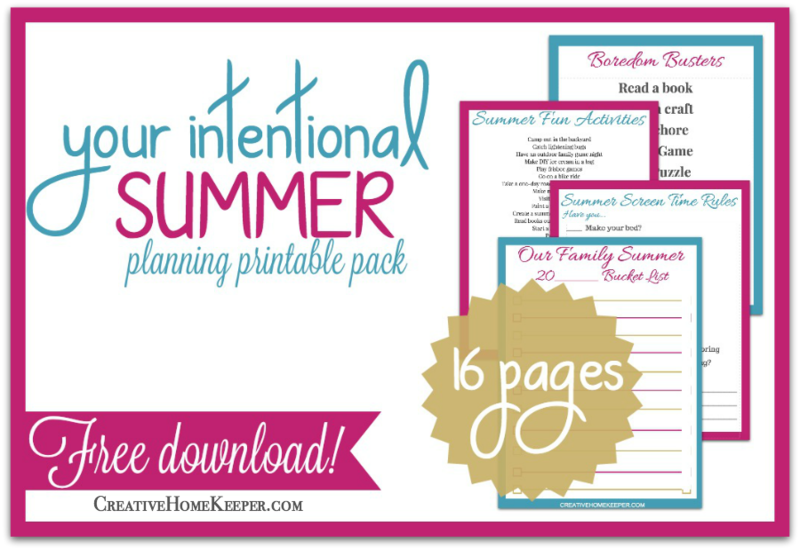 So download Your Intentional Summer Printable Pack today and get started planning the summer that is best for your family. Until next time sweet friend, go in Grace!